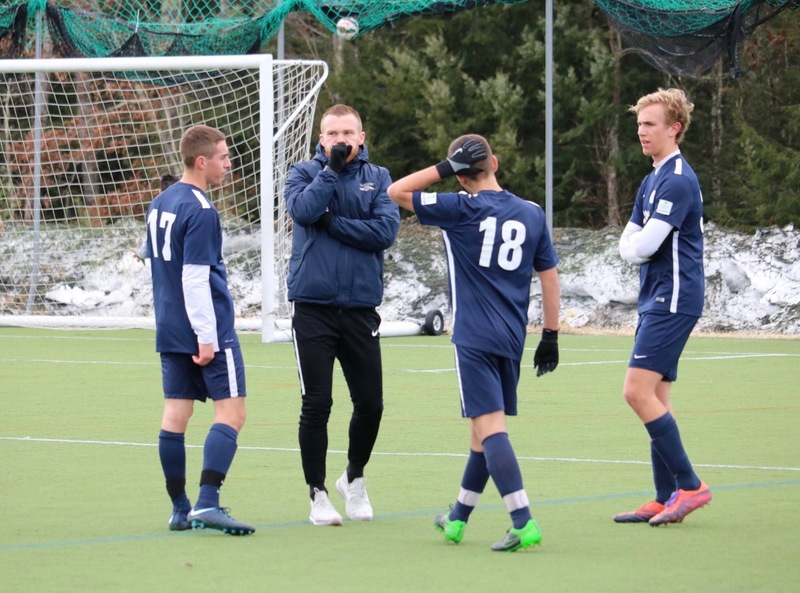 In our new “Get to Know” article series, we will be learning more about the coaches and administrators that make Seacoast United Maine such a successful club. 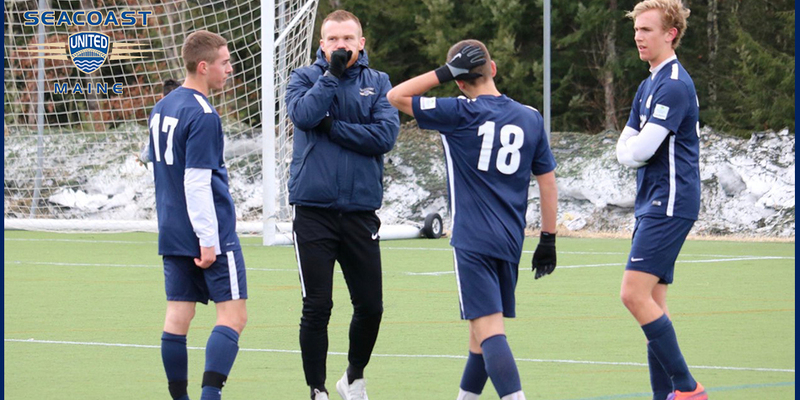 Matt Gordon is the Boys Director of Coaching for SUSC Maine and coaches the Seacoast United Maine South 2001 Premier Blue Boys team. I grew up playing in England, I did ok for my school and county teams and ended up signing a semi pro contract as a 17-year-old but was never good enough to make it as a professional! I started coaching at Leicester City in their youth academy, before using coaching as a vehicle to travel a little which brought me to the US. Over the years, I’ve managed to coach at many different levels of the game, working in a professional club at Leicester City to summer camps with Challenger Sports across the US. More recently I’ve coached with Colorado Rapids Development Academy teams and served as the Head Coach of Albuquerque Sol FC PDL team in New Mexico for 4 years. I also hold a couple of coaching licenses from the English FA as well as the USSF Youth License and USSF A License. A friend of mine connected me to a regional recruitment manager from Challenger Sports, I worked for them for three years before accepting a full-time role with my previous club Rio Rapids SC. I’d spent almost 10 years in New Mexico, a friend and now colleague of mine connected me with Seacoast United SC and after a visit to Maine late last summer and a few conversations with Paul Willis and Iain Scott I was offered the role of Boys Director in Maine. It was a great opportunity for my professional development to see a different culture and a different way of working in youth soccer after spending so many years with the same club in Albuquerque. When you hear “Seacoast United Maine” what is the first thing that comes to mind? Seacoast United Maine is a traditional, family orientated club with a lot of history in the communities it serves. Lots of people have been here for a long time and I think that speaks for itself. What excites you the most about working with Seacoast United Maine’s NPSL team? I loved my experience of working in the PDL, with players and staff who wanted to make the next step in their careers. It excites me to get out on the fields and work with guys whose goal is to become a better player every day of their lives and to compete at the highest level. I’m excited to work at a high level of adult soccer again and to see local, national and international guys succeed on and off the field. I’ve had so many positive influences at various times and in different aspects of my career, within the soccer industry as well as outside it. So many people have helped me develop professionally on the field running sessions and managing games as well as the day to day running of age groups, programs and staff – Too many people to name! I loved watching Paul Gascoigne (Gazza) play. I was lucky enough to see him play in person a few times and was always blown away watching him, he could do anything with the ball…Unfortunately I could only dream of having the talent that he possessed! His love for the game on and off the field, even to this day is admirable. I love spending time outdoors, hiking, cycling, snowshoeing…Although I spend most of my spare time choosing to watch more soccer games! 2. Raft the Grand Canyon. 3. Climb the iconic Alpe d’Huez (French Alps) on my bike. World Cup Winner Prediction – England! 2018/2019 Premier League Winner – Leicester City!